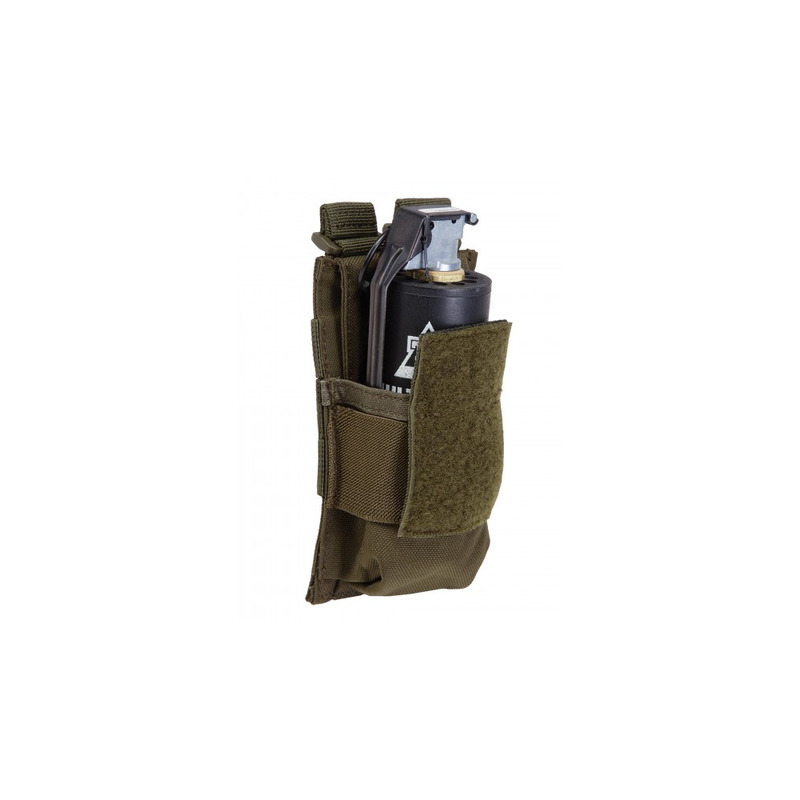 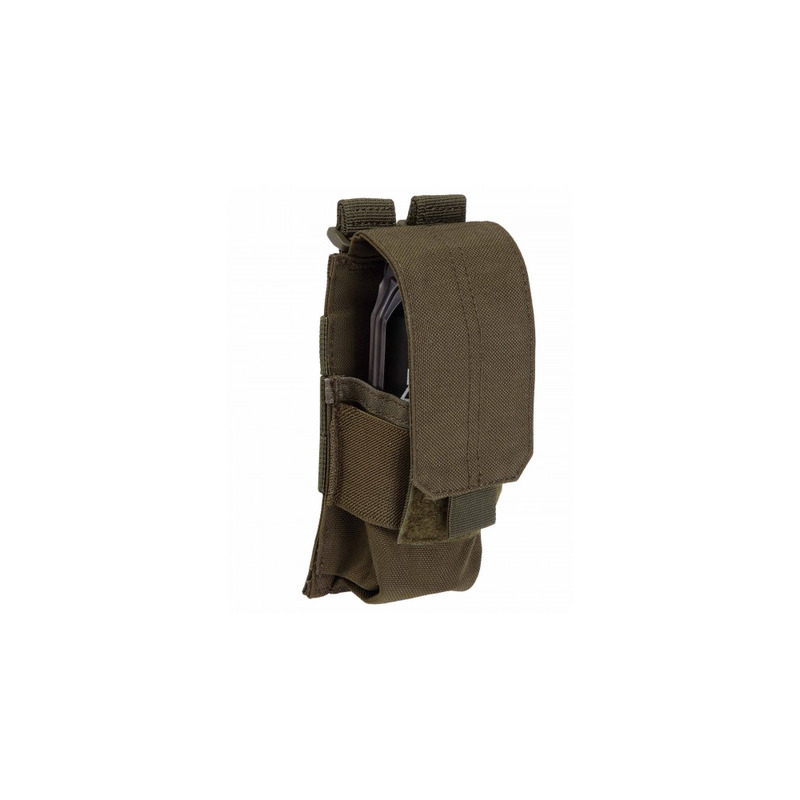 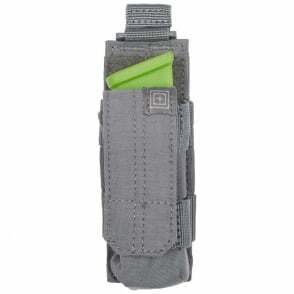 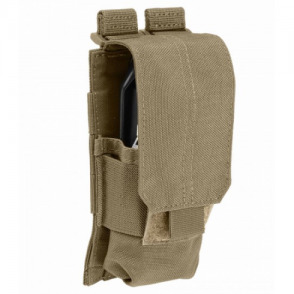 The 5.11® Flash Bang Pouch is built to accommodate any standard sized flash bang grenade. 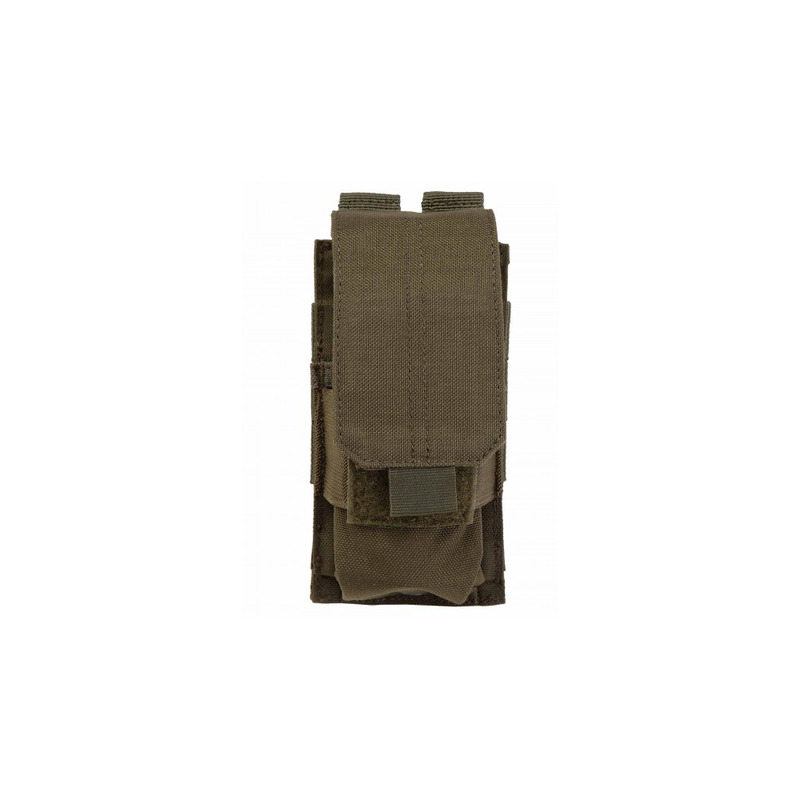 Durable nylon construction resists precipitation and moisture, an extra-wide hook and loop closure ensures secure closure and quick open, and complete compatibility with MOLLE and 5.11 SlickStick® web platforms allows instant integration into your tactical loadout. 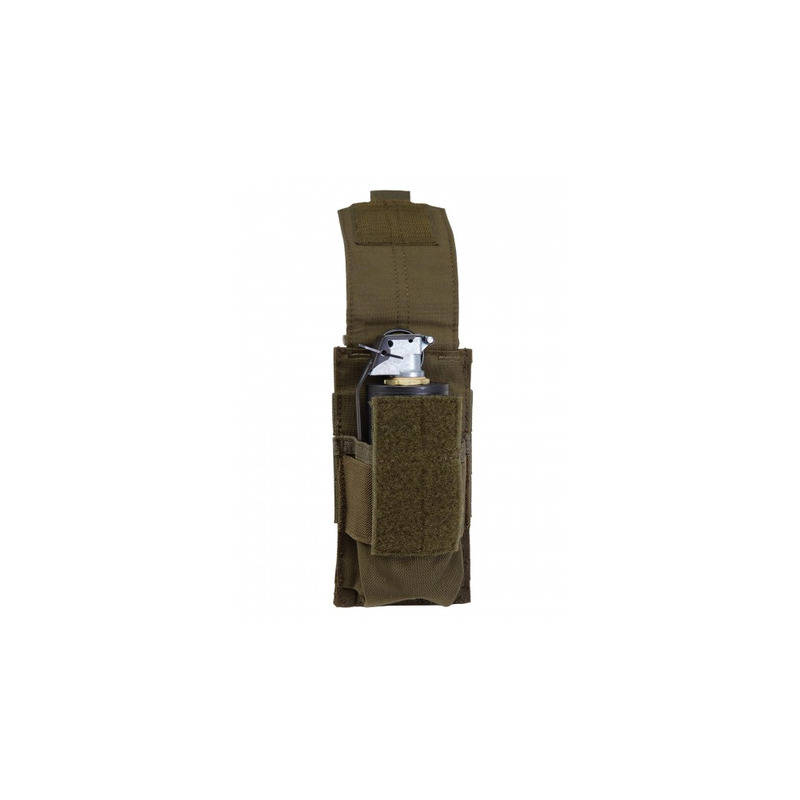 When you need fast and reliable access to your mission-critical tools, trust the SlickStick/MOLLE Flash Bang Pouch from 5.11.